‘One heart at a time, consciousness expands and Humankind takes a quantum leap into the unknown as they discover how to go beyond seduction, limitation, the sick and ageing body and the death trigger. They enjoy living and creating as DivineHumanBeings in a time-less space of freedom and a beautiful field of potential where they experience rejuvenation, abundance and an infinite flow of pure love and joy’. ‘My story is a magnificent LOVE story between my Divine and Human selves… who find each other after many years apart and become ONE. It is a unique and magical journey that begins with my question who am I and what is life all about. The more I explore the more aware I become and my mind grows quiet, this allows me to perceive nine Elemental Beings who come to remind me of my core truths and take me from a world of fear, struggle and limitation into a New Energy Consciousness of love, grace and freedom. Moving to my new home in Benalmadena in 2014 was the end of an amazing journey… and the beginning of a new adventure. Sitting quietly on my balcony, I knew it was the right time to write about my extra-ordinary experience that had brought me to this magnificent, peaceful and free moment I now found myself in. During my 35 year long journey, my thoughts and perception about myself and life were completely blown wide open, allowing me to become aware of the magnificent consciousness that IAM and ALL life truly is. 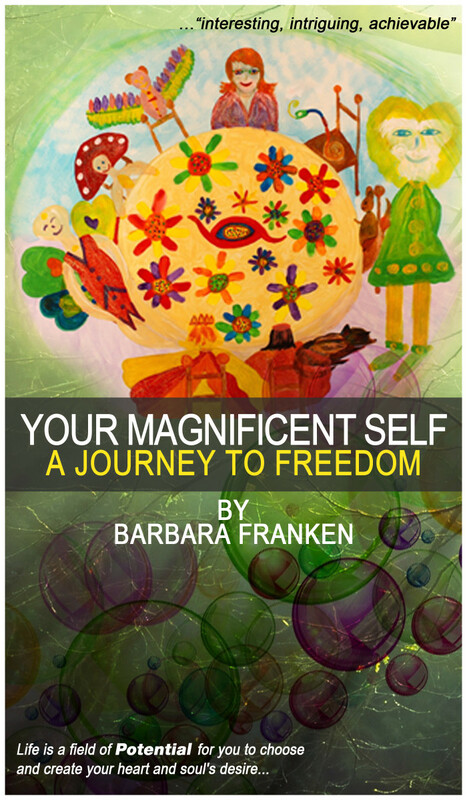 My amazing journey created so much excitement and passion within my body, mind and spirit that I wanted to share my story and inspire others to resonate with their own Magnificent Consciousness… to OWN it and ALLOW their unique and free creative expression to unfold in the heart of life. Hello, I wanted to share with you my author promotions I am now doing to help writers get their books more notice! I have a page on my new self-hosted website which states the terms for these book contracts https://aopinionatedman.com/book-promotion-terms/. If you are interested in help promoting your book title please give the following link a visit and read! Thanks and best of luck as you promote your hard work!